As a Chromebook owner, I've waited a long time for Google to roll out a section in the Chrome Web Store dedicated to packaged apps. It didn't fundamentally bother me that many of the previous "apps" were just glorified bookmarks, I simply chose not to install them and desperately wanted a way to find the apps that were intended to run outside of a browser window. Today, Google has finally answered my prayers (yes, I pray to Google, don't you? ), but the addition of the "For Your Desktop" section is just the beginning. The Chrome developers also have plans to port Chrome apps to Android someday. 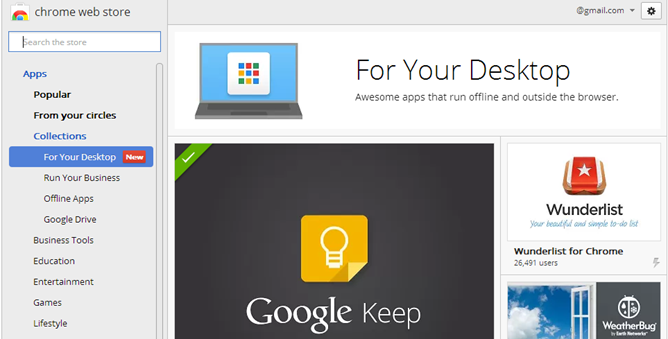 So what kind of apps populate this new section of the Chrome Web Store? This new type of Chrome app functions more similarly to what we've all grown accustomed to using on our desktops and tablets. For the most part, these are apps that present online content in a more streamlined way, like the Pocket app, or allow an online service to feel more like offline software, like Any.do. Remember the 500px app that Google showed off when it first unveiled the Pixel? That's there too. Work offline: Keep working or playing, even when you don’t have an internet connection. More app, less Chrome: No tabs, buttons or text boxes mean you can get into the app without being distracted by the rest of the web. Connect to the cloud: Access and save the documents, photos and videos on your hard drive as well as on Google Drive and other web services. Stay up-to-speed: With desktop notifications, you can get reminders, updates and even take action, right from the notification center. Play nice with your connected devices: Interact with your USB, Bluetooth and other devices connected to your desktop, including digital cameras. Keep updated automatically: Apps update silently, so you always get all the latest features and security fixes (unless permissions change). Pick up where you left off: Chrome syncs your apps to any desktop device you sign in to, so you can keep working. Sleep easier: Chrome apps take advantage of Chrome’s built-in security features such as Sandboxing. They also auto-update to make sure you have all the latest security fixes. No extra software (or worrying) required. Launch apps directly from your desktop: To make it quicker and easier to get to your favorite apps, we’re also introducing the Chrome App Launcher for Windows, which will appear when you install your first new Chrome App. It lives in your taskbar and launches your apps into their own windows, outside of Chrome, just like your desktop apps. Have lots of apps? Navigate to your favorite apps using the search box. As a Chrome OS user, it's easy to grasp why I'm hyped about this, but that doesn't mean this news is irrelevant to Android. Google's long-term plan is to bring this same technology to mobile platforms, as the company wants these apps to be accessible anywhere Chrome is. Right now that means Chrome OS and Windows, but the functionality will come to Macs in six weeks, and then it will come to Android sometime after. Google aligned Chrome releases across all platforms earlier this year, and this is the natural evolution. 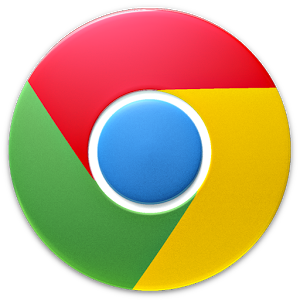 Google wants developers to view creating apps for Chrome as the easiest way to create cross-platform software. Regardless of your operating system of choice, it's an exciting time to follow Chrome.